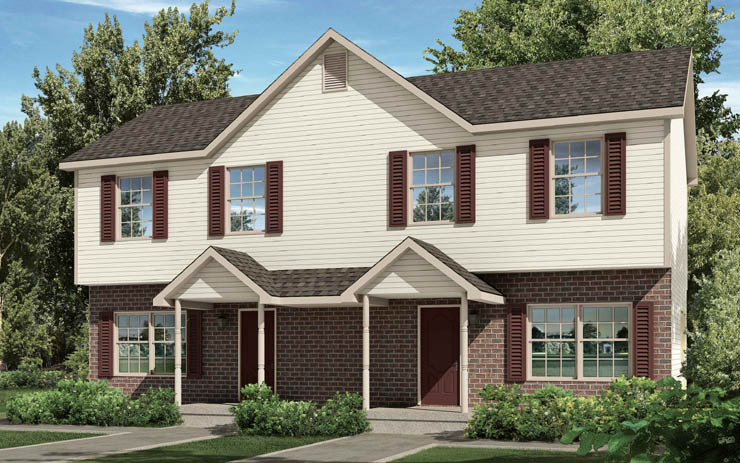 The Home Store offers a modest selection of multifamily modular floor plans since most of our multifamily customers ask us to create custom modular floor plans to their liking. 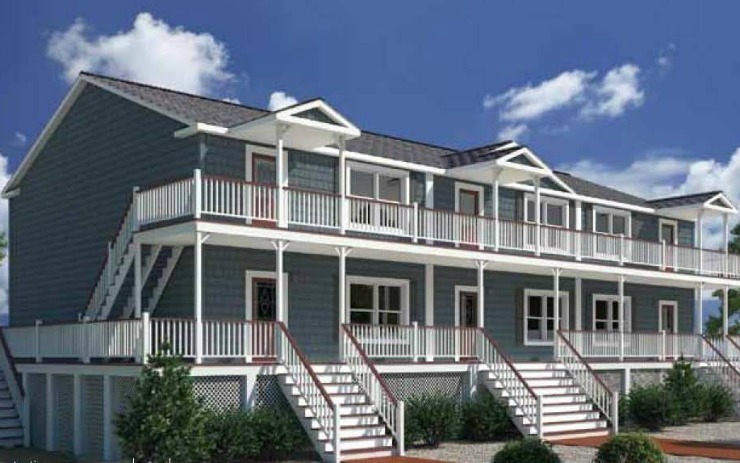 The most popular request is for modular two-family homes, also known as modular duplex homes. 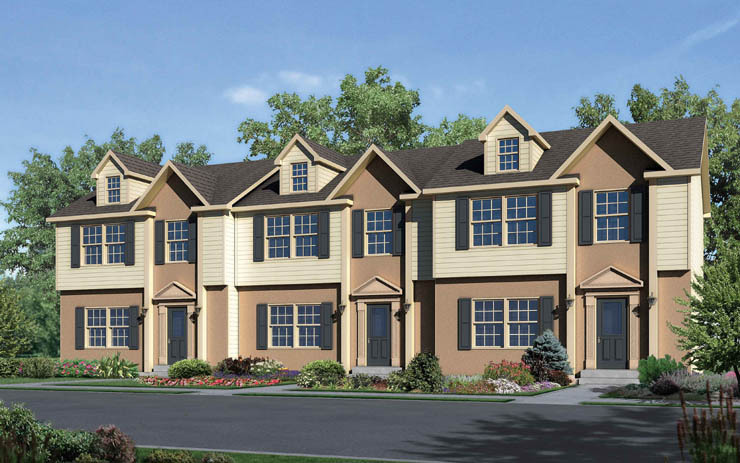 We can also build triplexes and other multifamily modular home floor plans. 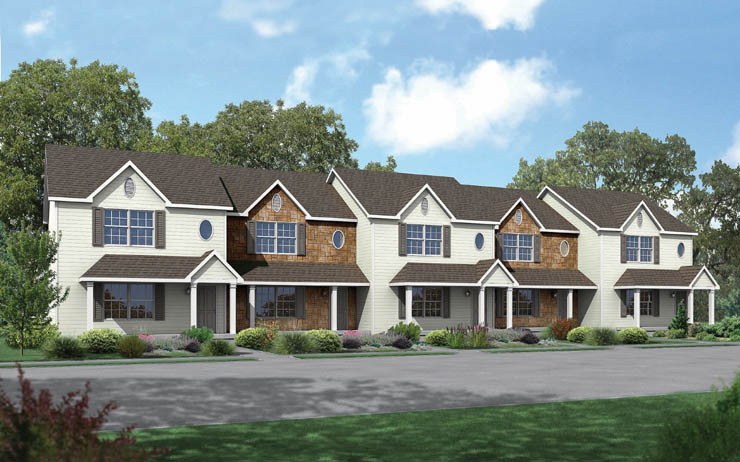 One way to create additional modular multifamily designs is to take two or more of our single family modular plans and attach them side by side. 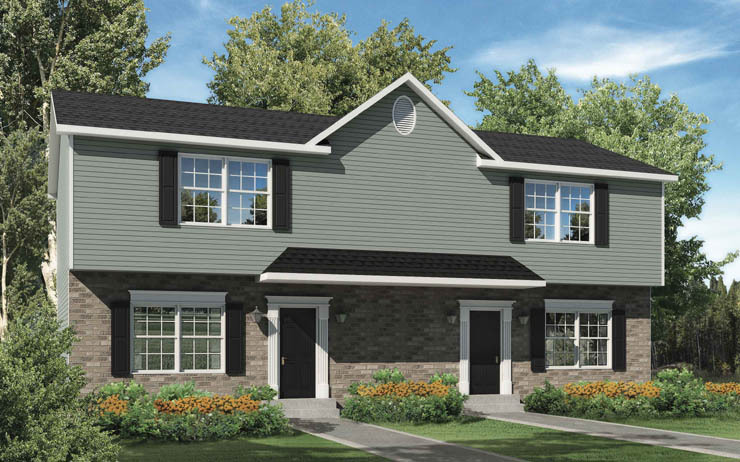 Many of our standard modular duplex homes (modular two-family homes), including the McHenry and the Landon, come with 2 bedrooms and 1.5 baths per unit. 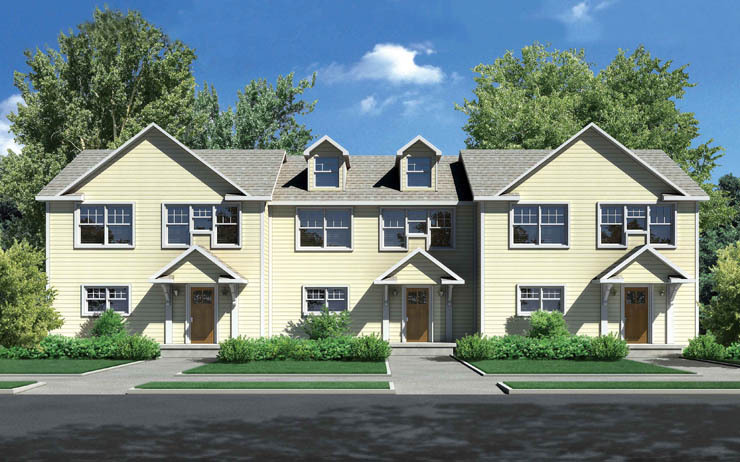 Some of our other modular duplex plans, such as the Fairfax and the Dunmore, come with 3 bedrooms and 2.5 baths per unit. 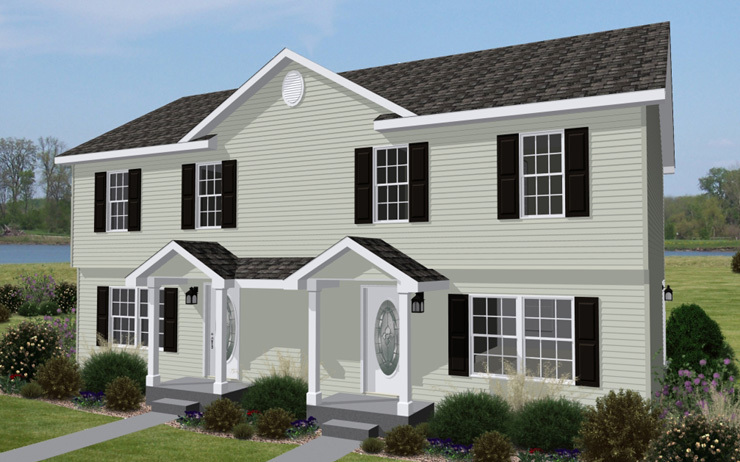 We can also design multifamily modular plans that have 1 or 4 bedrooms with as many baths as you like on each side. 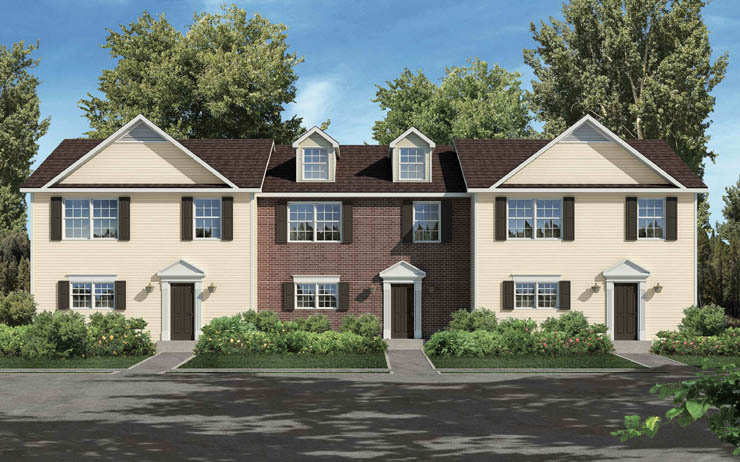 In addition, we can build modular multifamily plans with different numbers of bedrooms and baths in each unit. 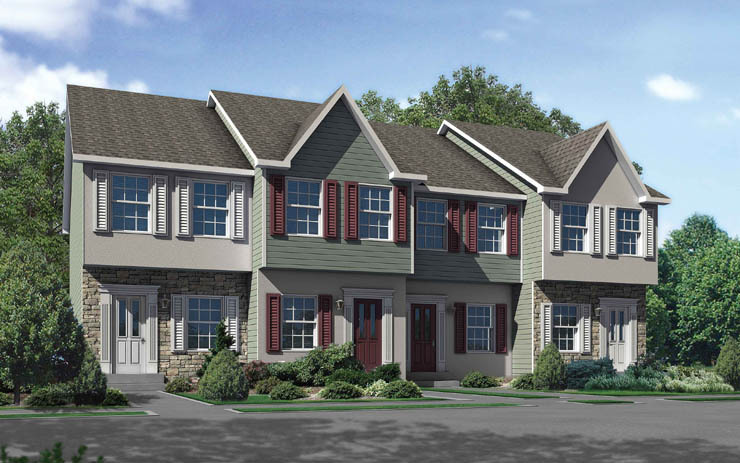 Most modular duplex homes are two-stories, with the living area on the first floor and the bedrooms on the second floor. 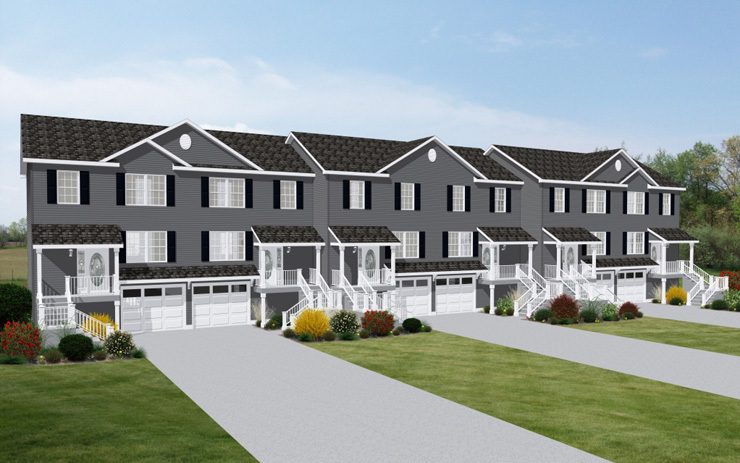 These side-by-side modular duplex plans (modular two-family plans) are often identified as Townhouses. 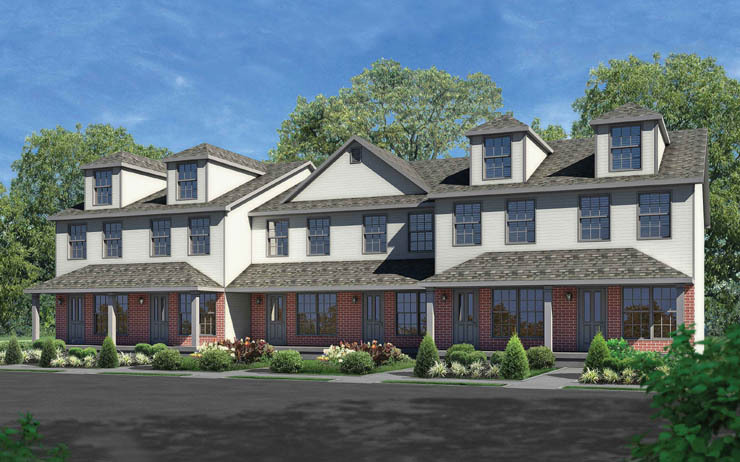 We also build one-story modular multifamily plans. 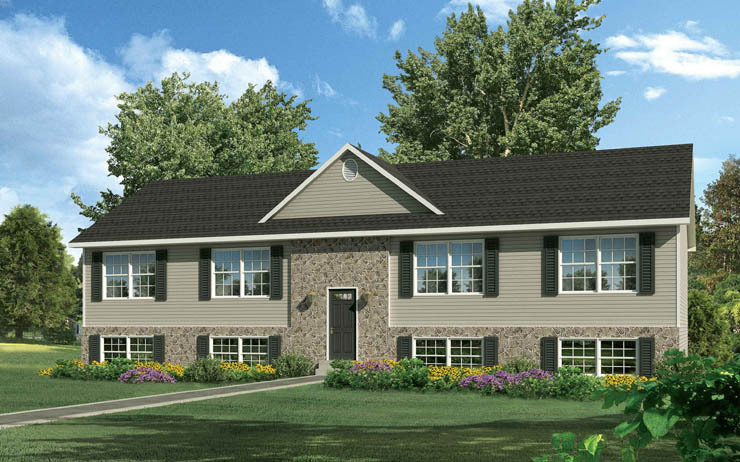 In addition to the tried-and-true straight modular home floor plans, such as the Carroll and the Ventura, we also build custom “T” and “H” configurations. Modular two-family and three-family homes can be a great investment whether or not you choose to live in one of the units. However, it is very important that you tell us if you will be selling any of your multifamily modular units as separate legal condominiums – whether immediately or in the future, since the modules will have to be built separately so that special steps can be taken to meet the fire code. If you are planning to live in one of the units yourself, you will be glad to know that we take pride in making our modular multifamily plans as attractive as our single-family modular floor plans. You can dress up the exterior of your modular home plans by adding a reverse or turned gable to your front roof above the door. 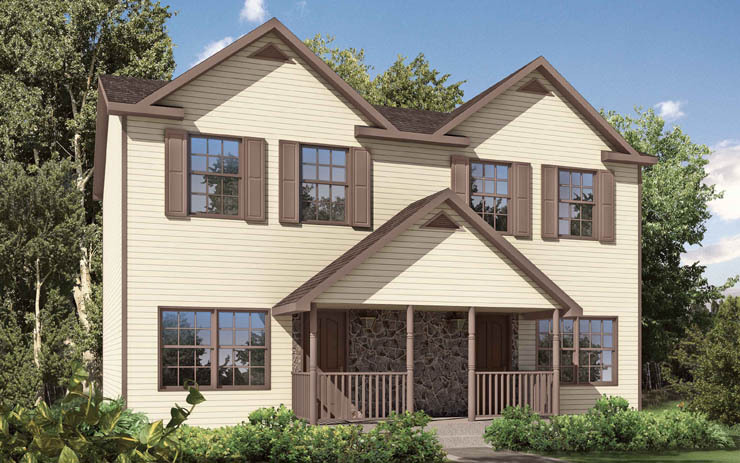 You can customize the front of your modular duplex plans (modular two-family plans) with mantles over the front windows and a pediment over the front door. You can also adorn your windows and doors of your modular home floor plans with trim boards. 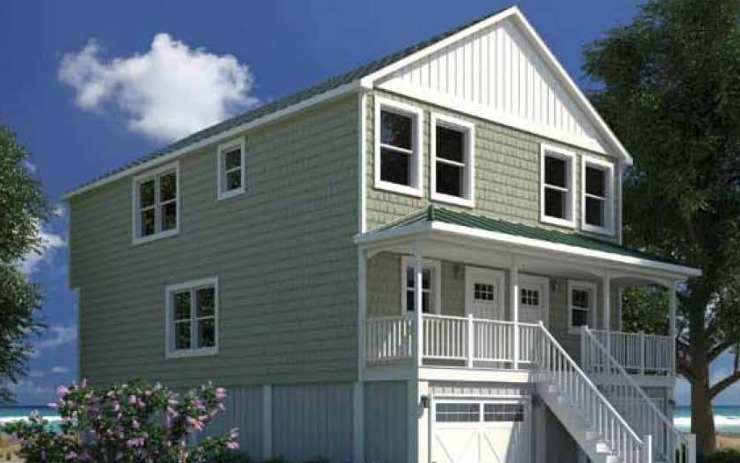 And you can outline the roof of your modular duplex homes in frieze boards and dentil moldings. The Home Store has many other plans in addition to those shown on our website. 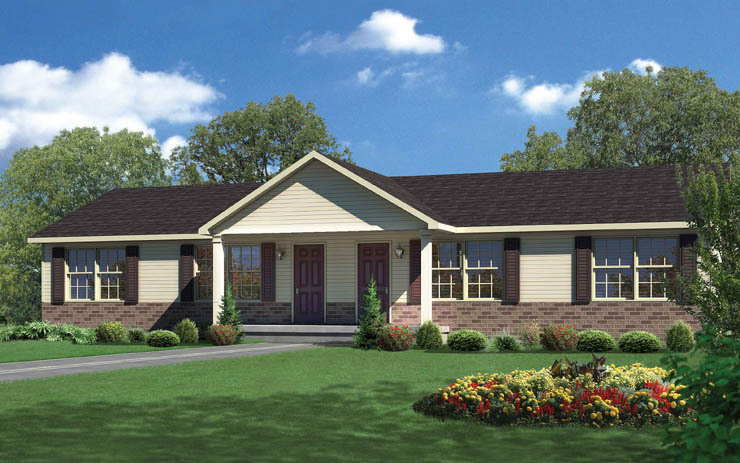 If none of our plans work for you, we will help you design and build the custom modular home plan of your dreams. 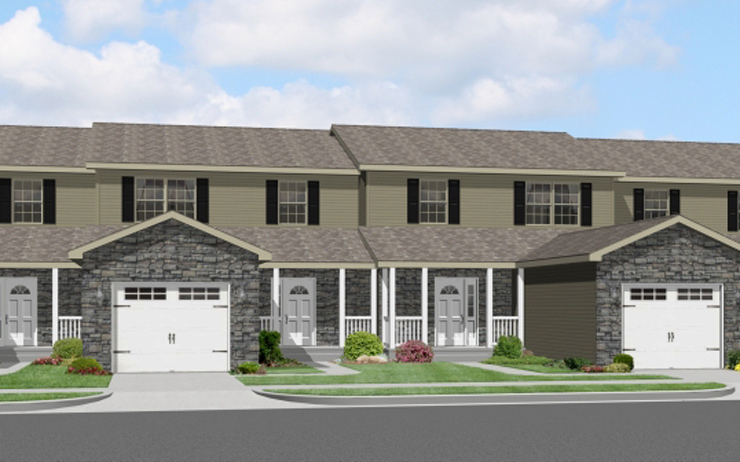 Our extensive experience in modular design and construction enables us to create uniquely attractive homes – homes with quality, style, and distinction. 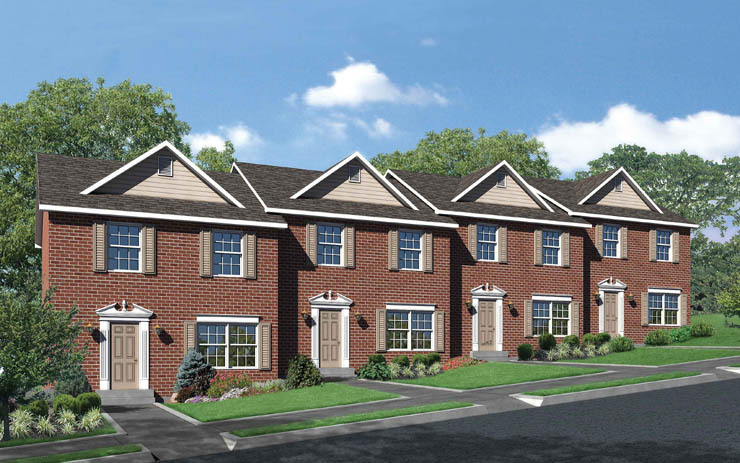 For more information about what type of plan will best meet your needs, click here or call us 413-665-1266 ext. 13. 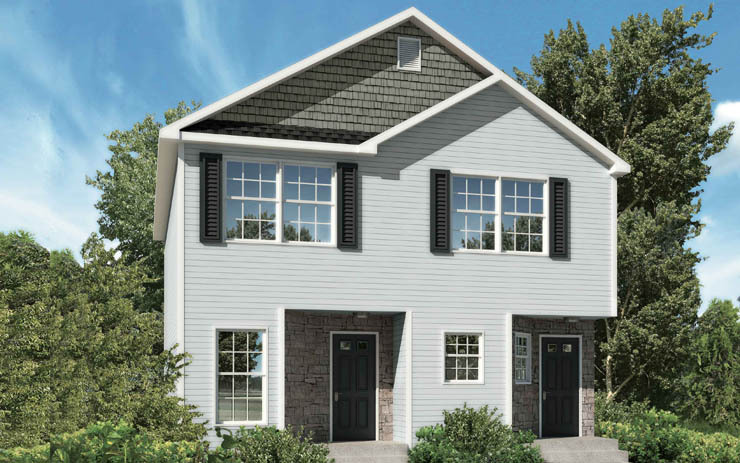 Browse The Home Store’s Multifamily Modular Home Floor Plans for Duplex Modulars and Other Multifamilies.